Dry River have been producing Syrah for more than two decades, with our first vintage produced in 1996. Our aim hasn’t changed – to present the essence of cool climate Syrah, with its elegant style, fantastic aromatics, an acidic backbone and a perfume of violets, black pepper and cinnamon spice. Picked at the end of the ripening season – sometimes as late as May – it needs this maximum “hang time” to ripen slowly, with greater acid development. This first 1996 vintage was labelled ‘Arapoff’ Syrah after the vineyard in which it was grown. We have since purchased this vineyard and renamed it ‘Lovat’. All our Syrah is grown here, under organic vineyard management, and we produce roughly 220 cases per year. 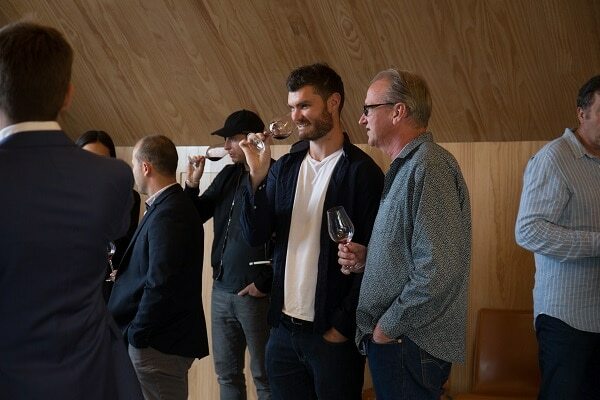 We were very excited to be part of the ‘We Say Syrah’ initiative, viewing it as a great opportunity to join forces with some of the top NZ Syrah producers, and start a vital conversation around this bold and fabulous wine. To follow is an account of the ‘We Say Syrah’ launch event and tasting, as well as links to press articles and coverage that followed. 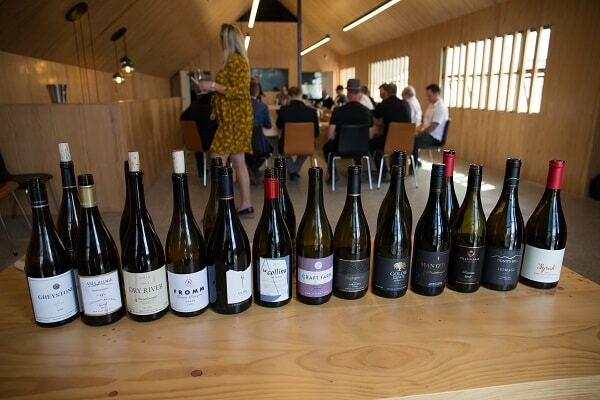 Thirteen New Zealand Syrah producers came together in a collective bid to raise awareness about one of this country’s great wines. A wine tasting at Caro’s in Auckland on Tuesday October 31st was followed by an open floor discussion between the wine producers and a number of the nation’s top wine writers, commentators, buyers and trade, about how to increase the profile of a great, if not yet fully appreciated, New Zealand wine. There was unanimous agreement in the room that the Syrah tasted was of exceptional standards and that the world deserves to know more about such wines. New Zealand Syrah is no stranger to praise. It has been widely acclaimed by international critics for many years, with Tim Atkin MW claiming it has the same potential for greatness as Pinot Noir. “There may only be 1,500 acres of Syrah in New Zealand, compared with nearly 10,000 of Pinot Noir, but in my view the two varieties have equal potential for greatness, “Tim wrote. Bob Campbell MW brought up the staggering fact at the Auckland gathering that NZ Syrah has won the majority of the last 16 years in the Six Nations competition (www.sixnationswine.com.au) for the Syrah/Shiraz category when judged against some of the best examples from Australia, USA, Argentina, Chile and South Africa. The group, ‘We Say Syrah’, is planning to develop events and tastings around New Zealand and the world, with a renewed focus on educating people about what great Syrah from NZ tastes like. 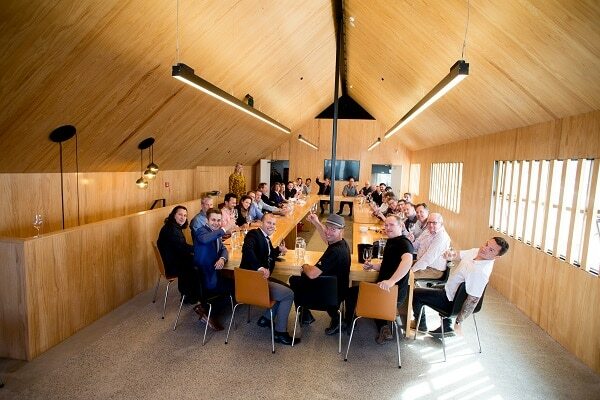 The group of 13 wineries are aiming to develop a larger audience of NZ syrahphiles and growth in the category. Read on here for an account by John Saker of the event. Bob Campbell wrote a post on the event here. For further information on the history of Syrah in New Zealand go here. More information can be found here on Dry River history and philosophies.